I have finally motivated myself to publish my firmware and PCB designs for the MLMC on github. The design is functional and I have a set of five modules chained together sitting on my workbench. 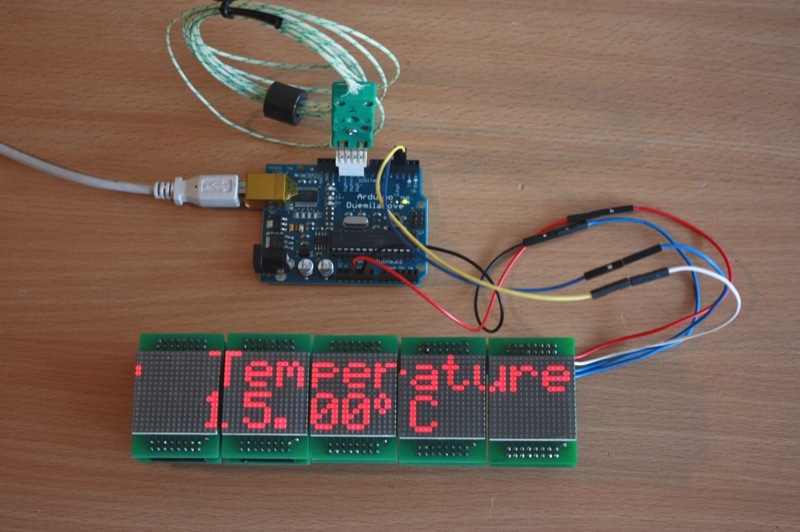 They happily display the current temperature via an Arduino and the MAX6675 based Thermocouple board I designed previously. 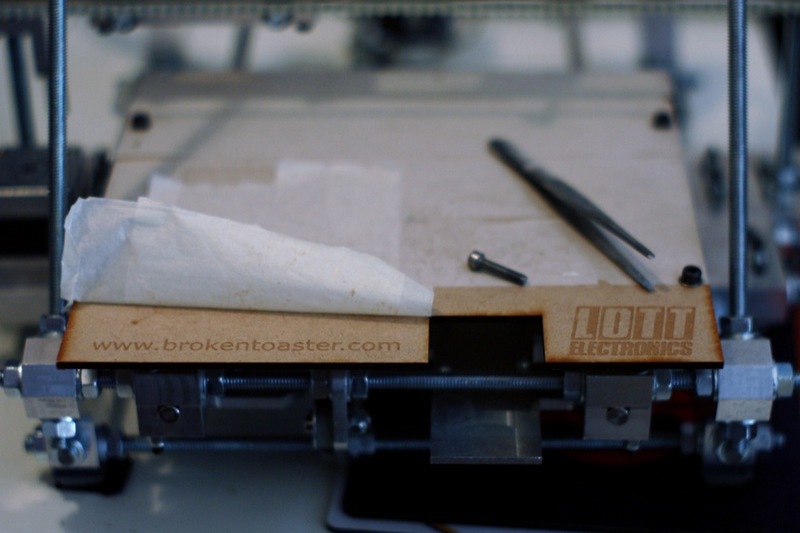 All the files for the project are currently published on github at https://github.com/brokentoaster/MLMC. Bottom view of the controller PCBs. This Modular LED Matrix Controller (MLMC) all started about 3 years ago and you can find all the info and a demonstration video at the project web page. Once a couple of initial glitches in the system had been worked out the modules turned out to be both reliable and easy to drive. The power consumption as on average 12mA per module while displaying scrolling text. The current consumption is reasonably nicely distributed about the average without any large peaks in current. Each module’s refresh rate is slightly out of sync with its neighbour due to the differences in each of the AVRs on-board oscillators. This has the side effect that all columns switch on at a slightly time and avoids causing a large spike in the current. While not deliberately designed to act this way it is a benefit of the multiple controller modular design. 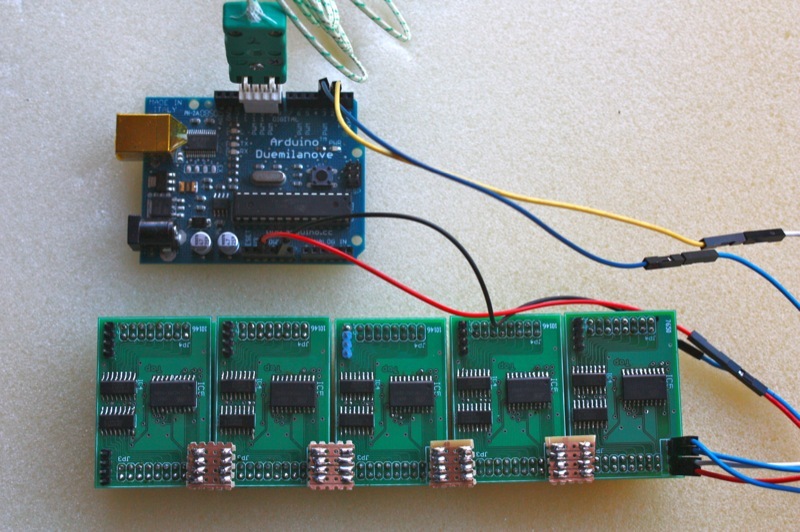 PCB design error – SPI pins are not always the same as the ISP serial programming pins.